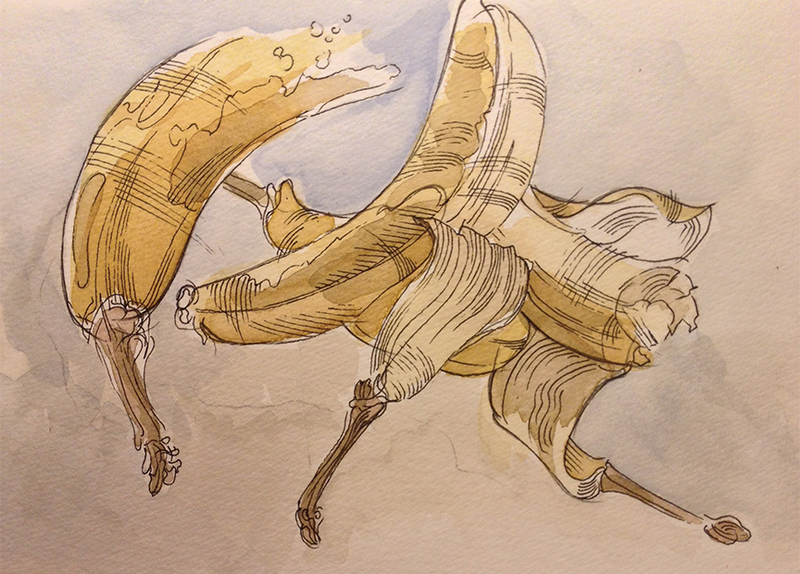 Okay, I am sketching more bananas. What are you going to do about it? This little baby was on it way to the garbage, when I decided to make some use of it. After an initial sketch, I peeled and then bit. Nasty sweet and not my style. I like them a bit on the green side. Anyway, I promise, no more bananas. Thank you Gerhard – best compliment of the day! Remind me when it is not 5:30 in the morning to tell you about Jonathan Richman.